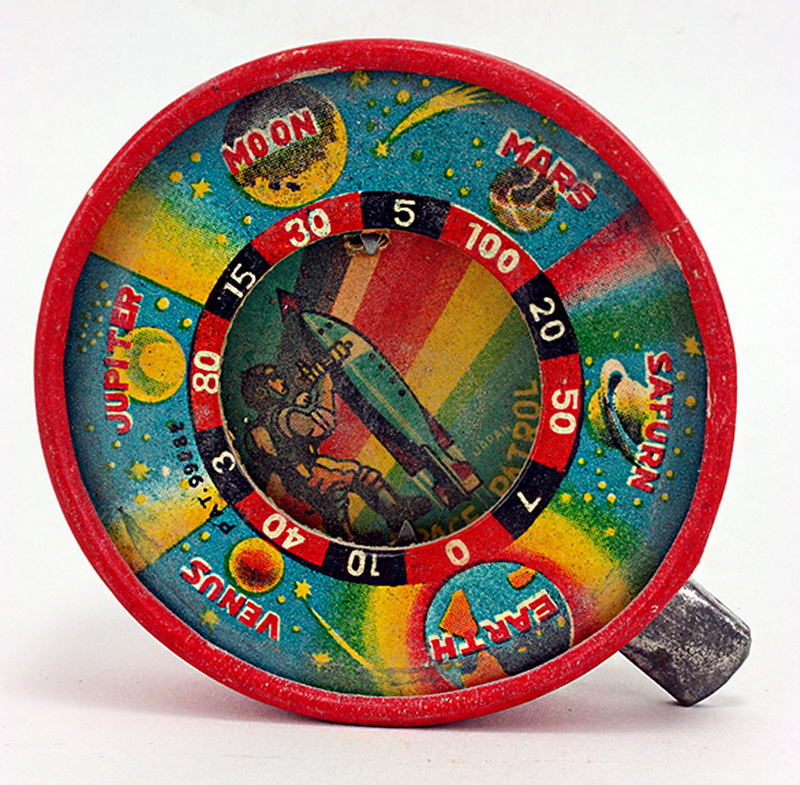 Toy Space Spinner - Colorful 1960s space themed toy rescued from the set of the 1963 Westinghouse Steve Allen Show by Ken Patterson. Used on the show for its visual, roulette wheel style movement. Comes with a personal letter from Ken Patterson authenticating the item and its provenance. This is a one of a kind item from the set of The Steve Allen Show from 1963. This item was used as a hand prop by Steve Allen on his 1963 variety show and shows light wear and tear from on camera use.